Image by Rondine Carstens. Available under a CC-BY license. Research on Open Educational Resources for Development (ROER4D) is a three-and-a-half year (2013-2017) project that aims to provide evidence-based research from South America, Sub-Saharan Africa and South/South East Asia on Open Educational Resources (OER) in order to improve educational policy and practice, build developing-country research capacity, and boost the Global South contribution to international literature on OER. Our project has 18 sub-projects hosted across 15 institutions and is situated in a complex collaborative framework. 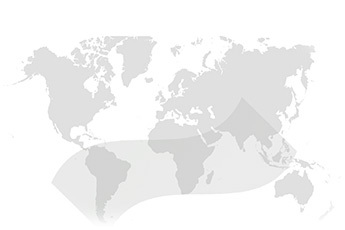 Research takes place in 26 countries, across 16 time zones, by 86 researchers and associates. This large-scale initiative takes place at a time of heightened international interest in “Open” areas of academic activity such as open access (OA), open science and open data; and at a time of great pressure to address the crisis that exists around higher education provision in many developing countries. Conscious of the imperative to both link to and disrupt the “open silos” that exist between various sectors of academic activity in order to gain maximum return from OER research, the project has an explicit ambition to practice open research principles in all facets of its dissemination activity. 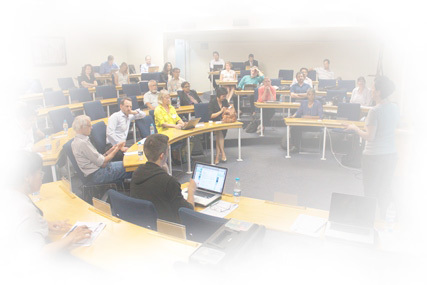 Based on an expansive vision of “Open” as the default mode for research, teaching and learning, the ROER4D curation and dissemination strategy aims to challenge the traditionally siloed approach of OA, OER, open science and open data by operationalising and making a contribution in each of these fields. By doing so, it is hoped that the project will not only raise the visibility of the developing-country contribution to OER and higher education studies, but also produce a wide range of openly available resources that can be accessed, reused and redistributed by an audience of researchers, educators, and policy-makers. In line with this ambition, we have launched the ROER4D Open Data Initiative in which we will work with and assist any researchers wishing to share data from their ROER4D research activity. The link between OER and open data may seem tangential, but a recent study indicates that open data stands to have considerable benefit in the context of teaching and learning (Atenas, Havemann & Priego, 2015). Added to this, Campbell (2015) cautions that open access mandates stand to have a negative impact on open education if we do not focus attention on linking open data to open education. The ROER4D Open Data Initiative aims to further explore these dynamics by working with sub-project researchers who are interested in sharing their data as a means of advancing OER practice, boosting the impact of their research, increasing citation, and making a developing-country contribution to the global open data commons. The benefits of open data are typically framed in terms of transparency or reproducibility and increased return on the investment. There are also significant benefits in terms of the affordances for scientific advance that result from the pooling of results and distributed analysis. In the context of ROER4D, open data sharing also has the potential to make a particular contribution in terms of the current imperative to increase the extent of empirical research from the Global South on OER adoption and impact. ROER4D is the first large-scale, Southern-focused research initiative of its kind. As such, the data and other research objects shared constitute a foundation of unique resources that can be interrogated, appropriated, referenced and built upon over time by subsequent research initiatives in this currently niche but crucial area of investigation. The provision of support services and infrastructure for data curation and sharing is a central focus of the ROER4D Open Data Initiative. Brack and Castillo (2015:2) point out that “the technical solutions to data sharing have already been found and implemented”. While this may be the case for many Northern institutions and research initiatives, significant barriers and constraints still exist for developing-country researchers who wish to engage in data publication. Bezuidenhout, Rappert and Kelly in their overview of the “Beyond the Digital Divide: Sharing Data Across Developing and Developed Countries” project point out that developing countries are under-represented (if not largely absent) from current discussions on research data sharing. They also draw attention to factors such as poor internet access, lack of data centres and poor infrastructure that impede and influence how researchers in developing countries engage in global data-sharing activity. The ROER4D Open Data Initiative aims to advance interest, develop capacity and provide support for open data sharing within its research community and experiment with new models for integrating open research approaches in the field of OER research. Future follow-up blog posts will outline the processes and collaborative strategies that the ROER4D Open Data Initiative is undertaking to ensure adherence to international best practice and protocols around data protection and privacy concerns.